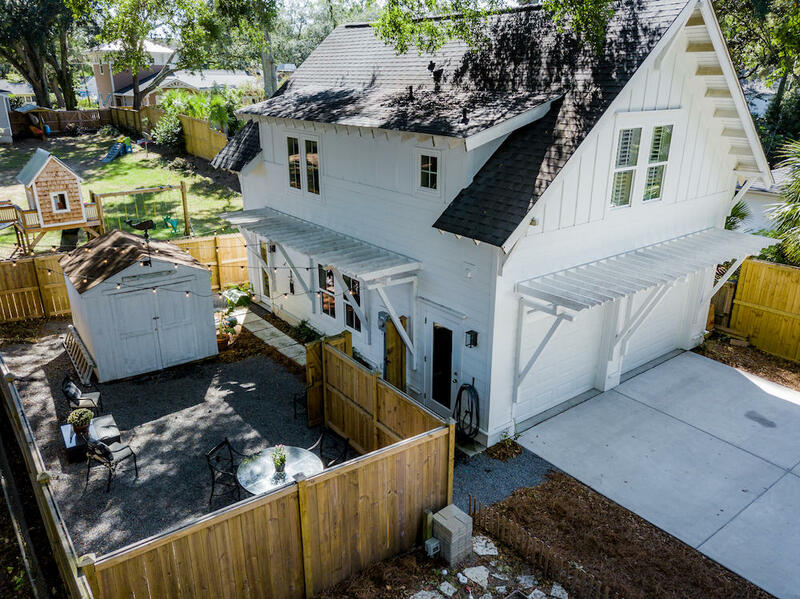 Stunning Old Village home built in 2016 with detached garage and ADU featuring a total of 5 bedrooms and 4 bathrooms. 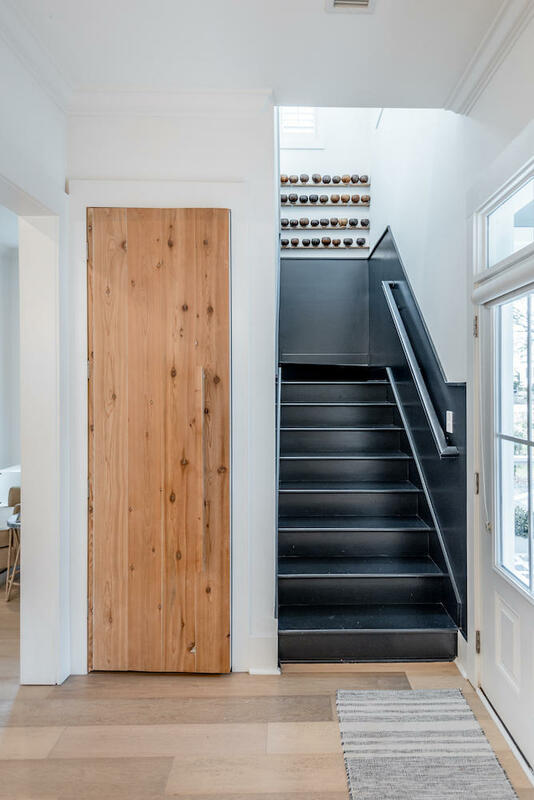 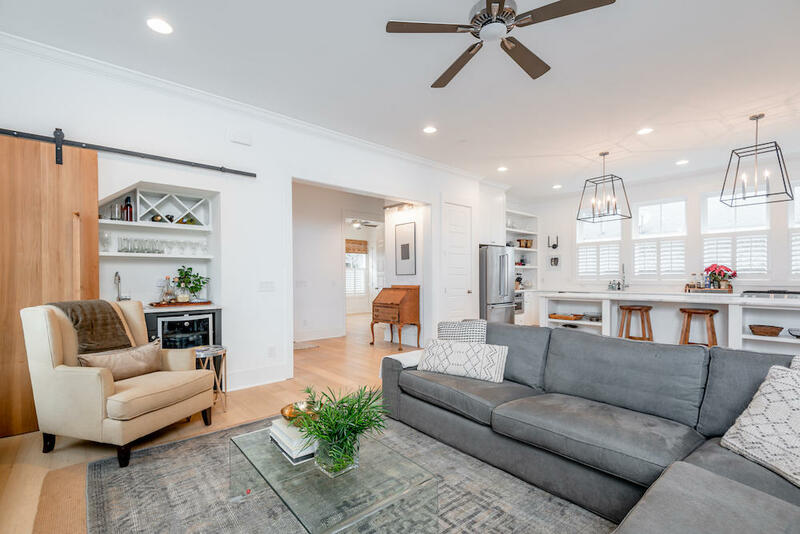 This home exudes beauty in its simplistic design that features tons of natural light throughout, an open floor plan, and timeless finishes. 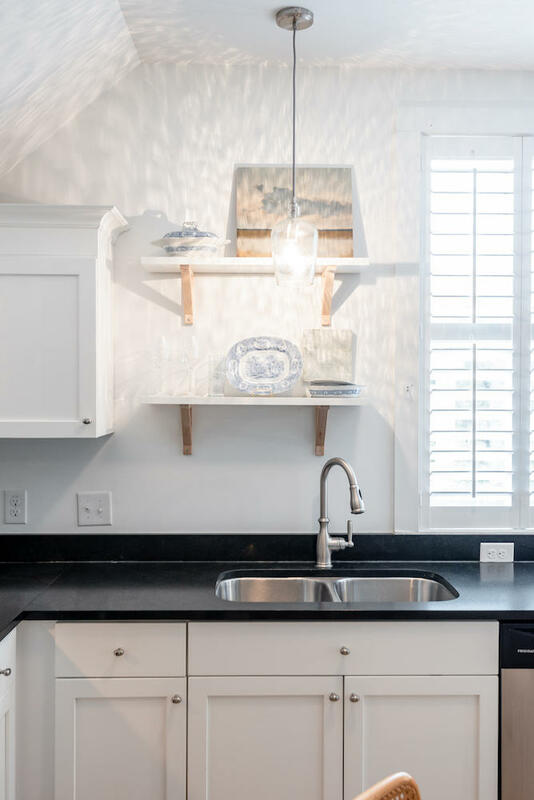 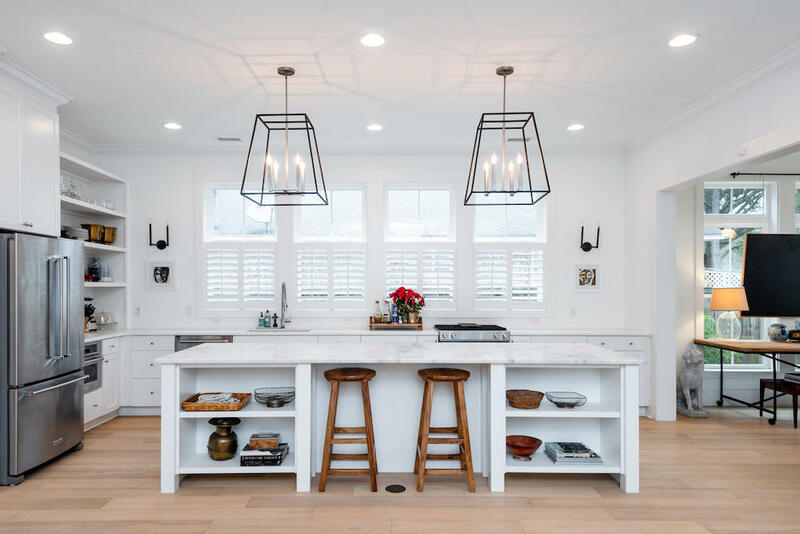 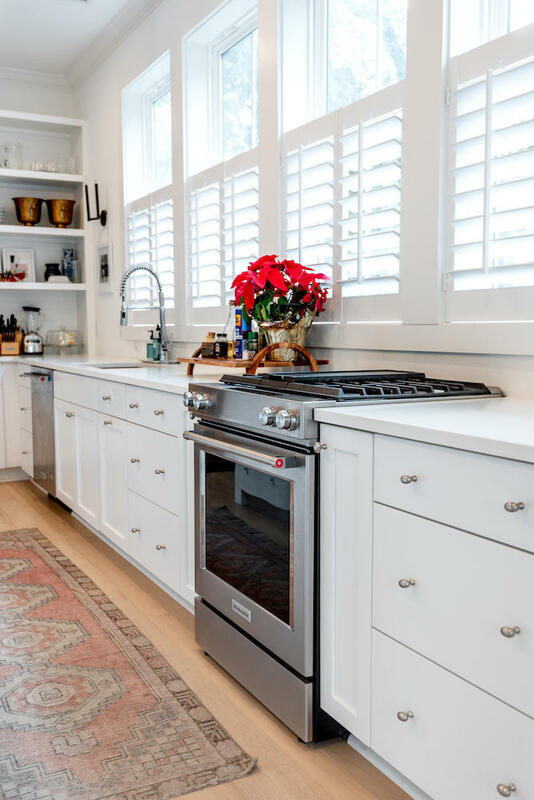 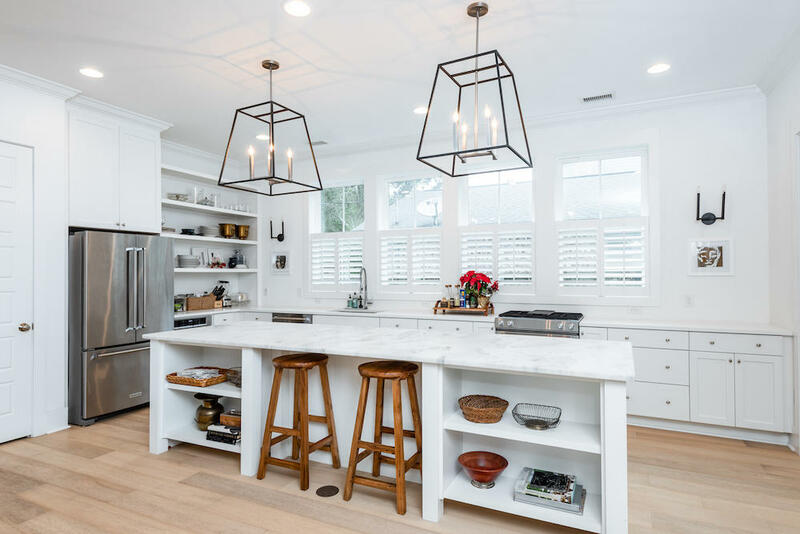 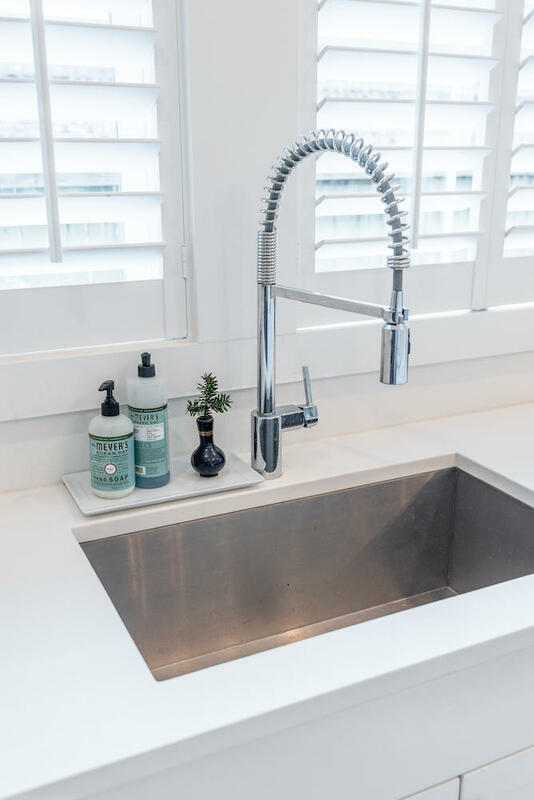 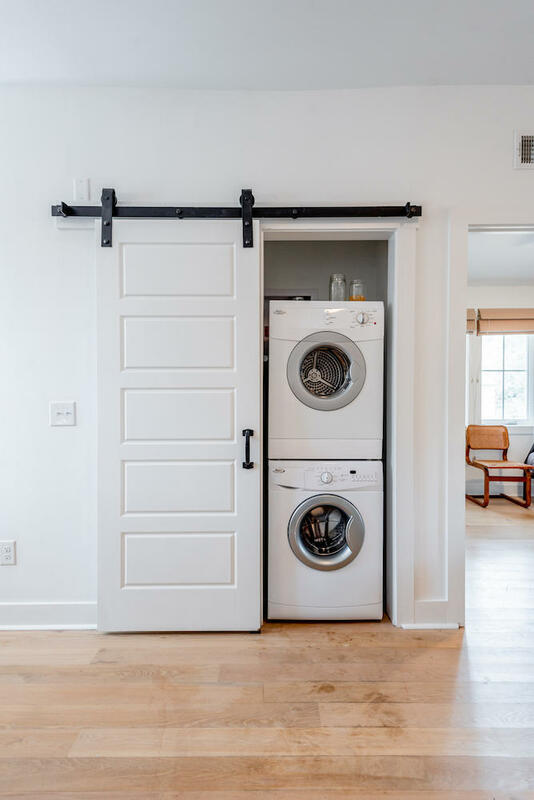 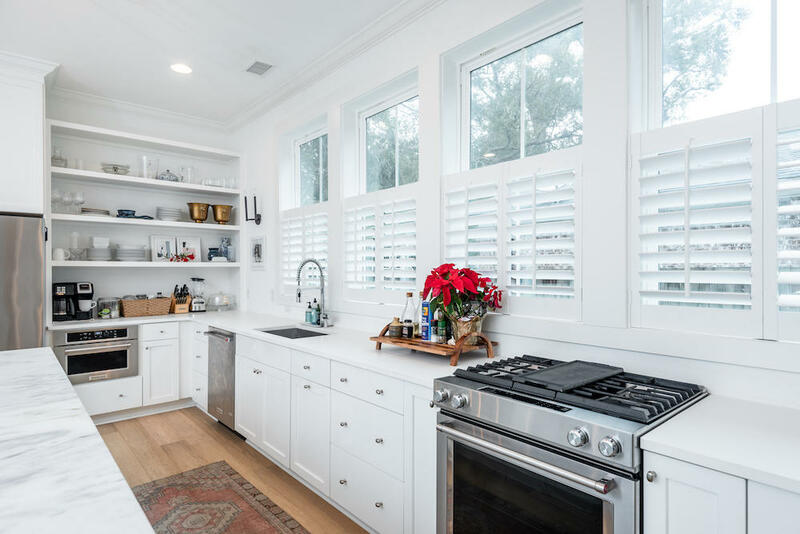 Upon entering the home, you will be drawn in by the exquisite kitchen equipped with a massive island and honed marble counter top, KitchenAid stainless steel appliances, open shelving, and an abundance of light. 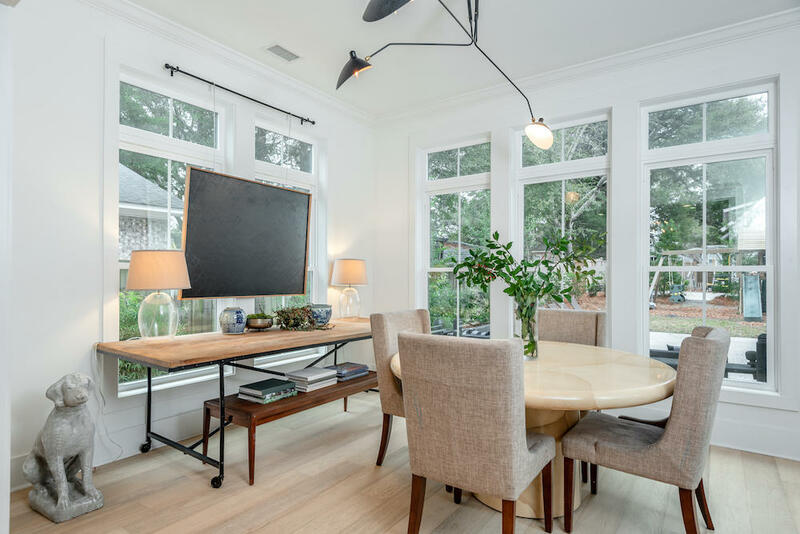 The dining and living rooms are open to the kitchen making it an ideal layout for hosting a crowd. 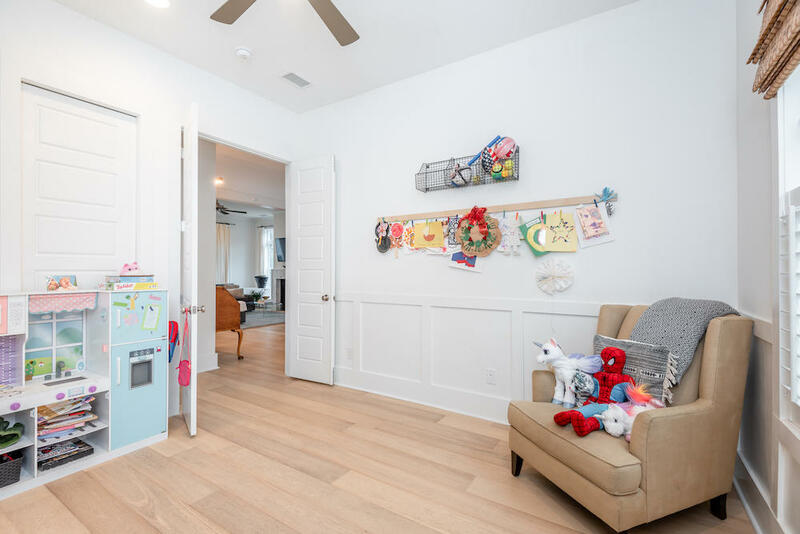 Downstairs you will also find the fourth bedroom, currently being used as a playroom, with a pocket door that joins into a full bathroom. 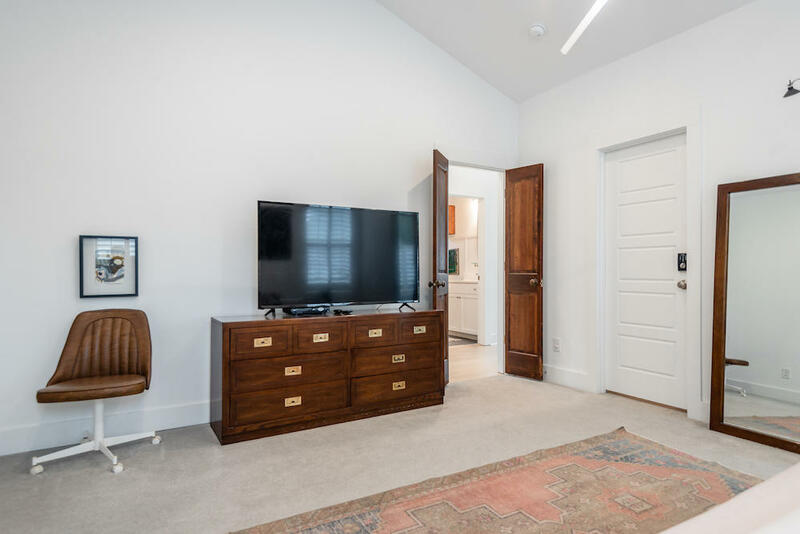 Upstairs awaits the master bedroom with walk in closet, vaulted ceiling, and large versatile sitting room. 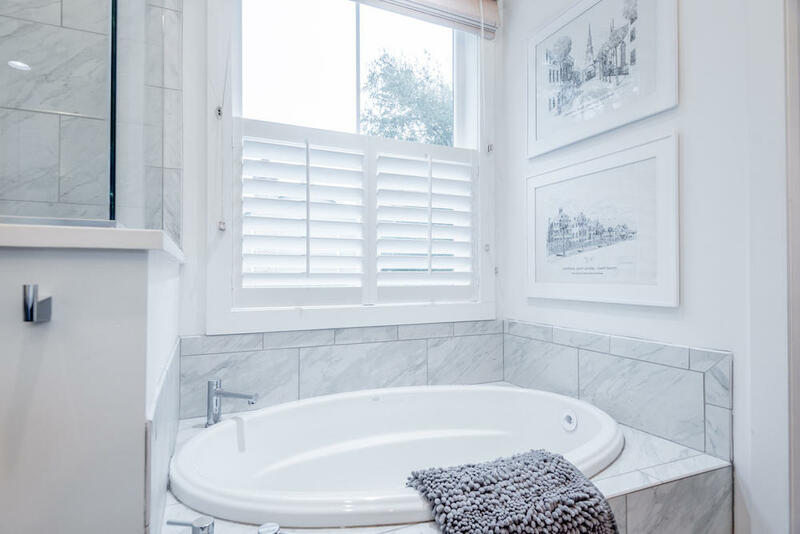 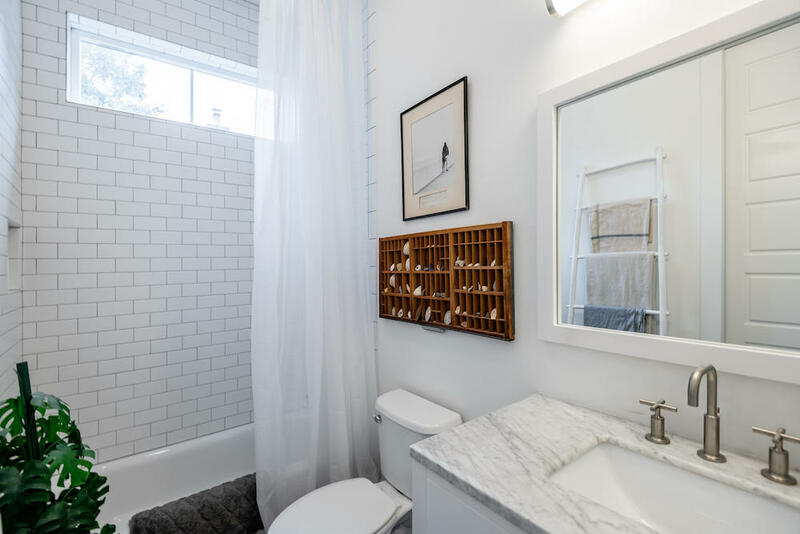 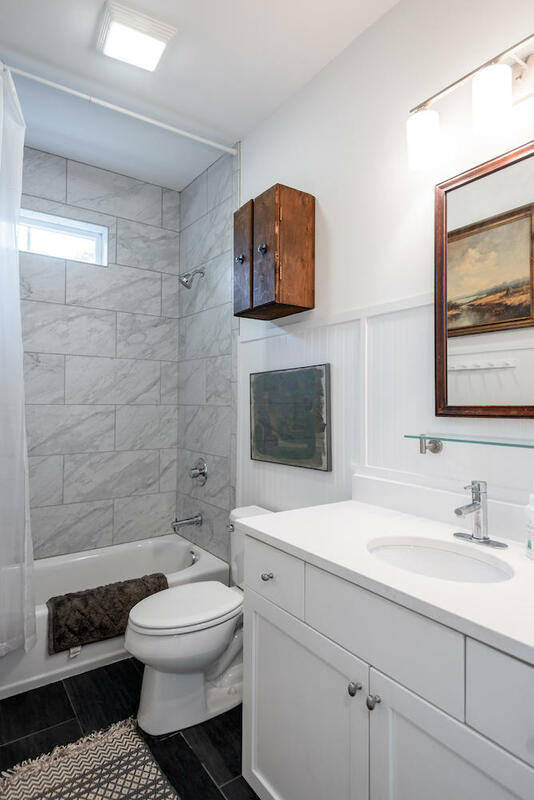 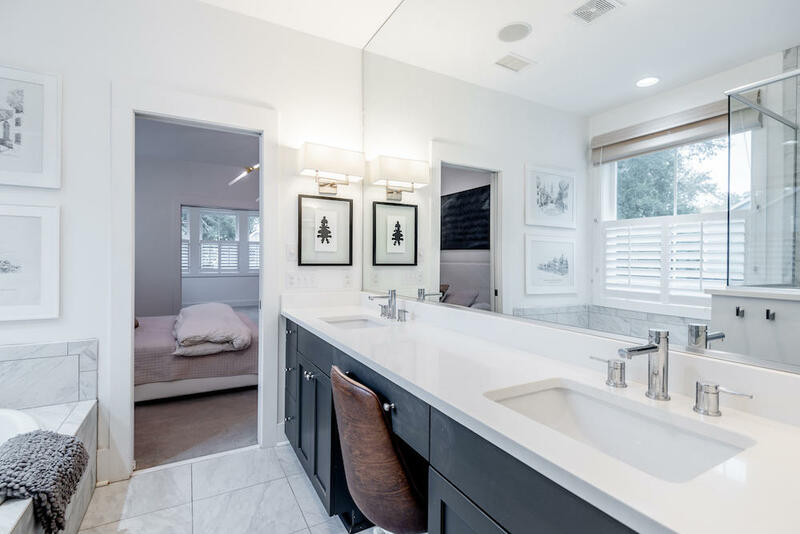 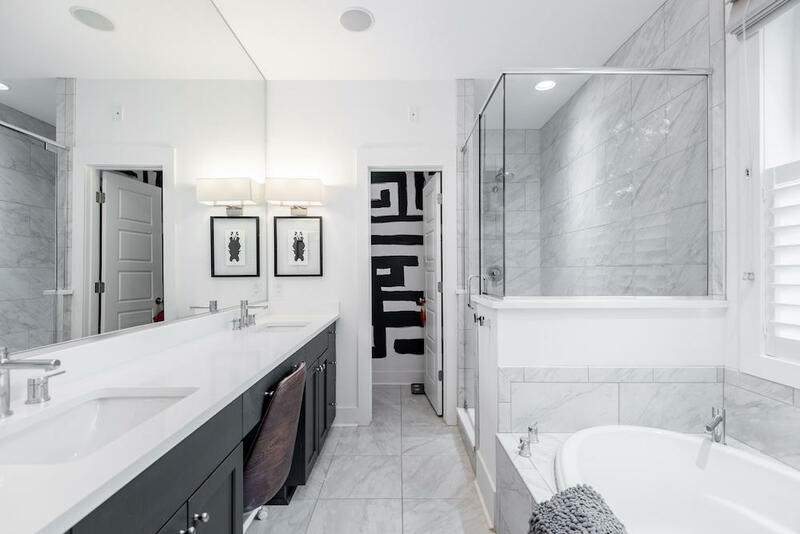 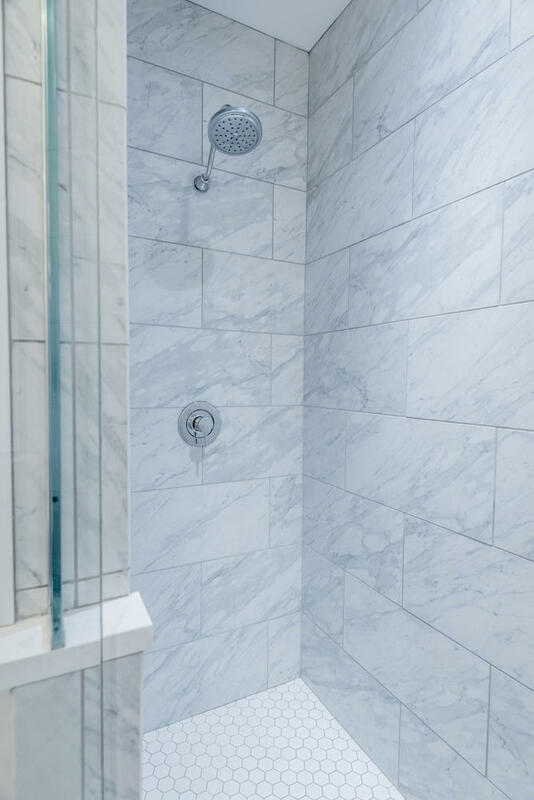 The master bathroom boasts quartz counter tops, double sinks, and separate shower and soaking tub. 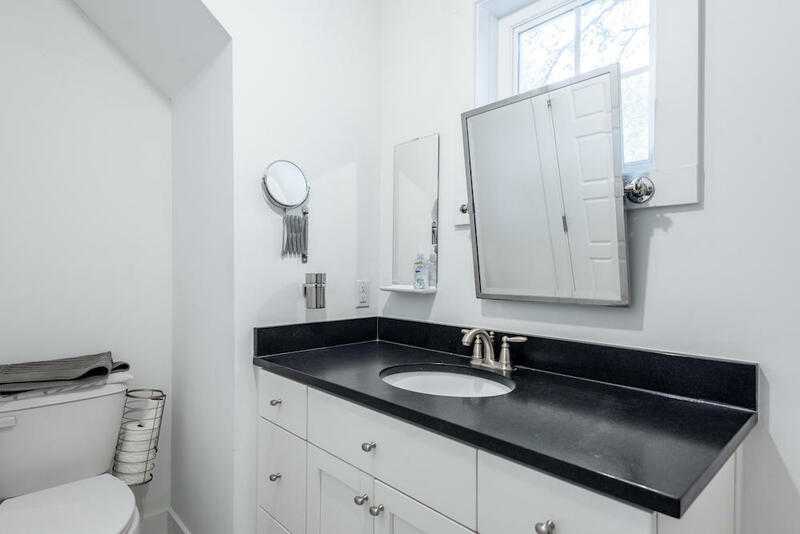 The two additional bedrooms and laundry are also upstairs, along with a full bathroom. 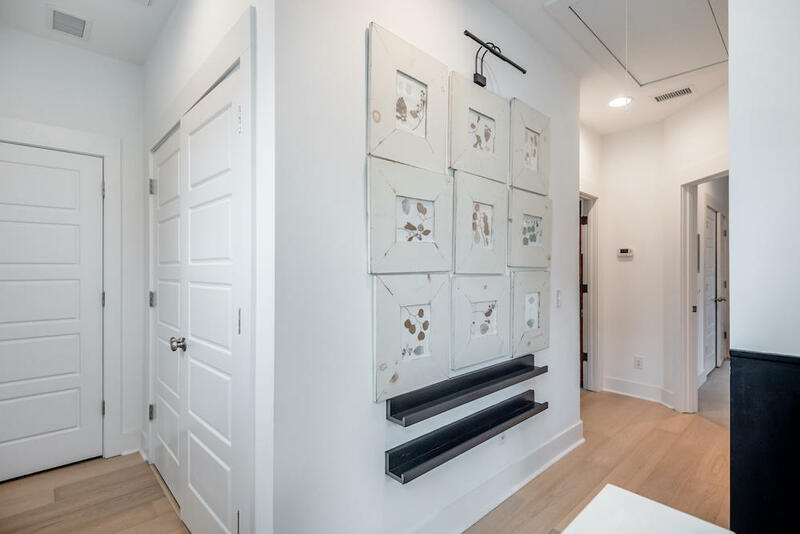 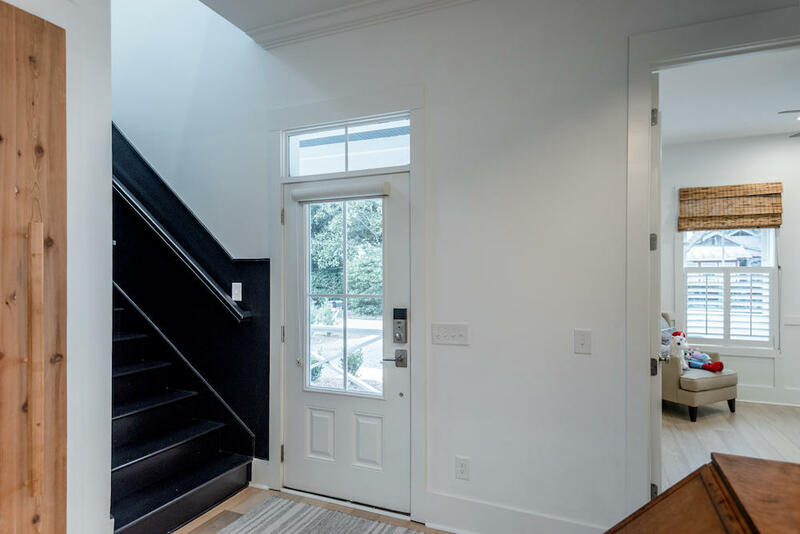 This home is equipped with ''Smart House'' technology, the electrical and security systems are controlled from the panel and by your smart phone. 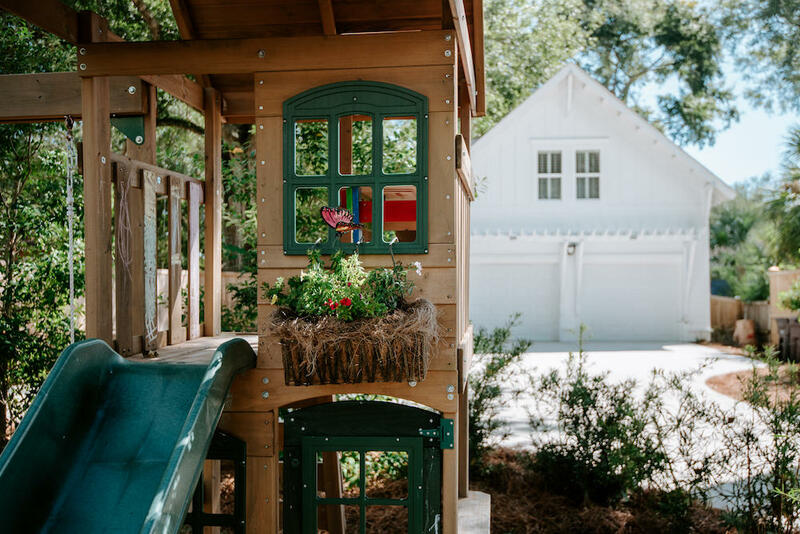 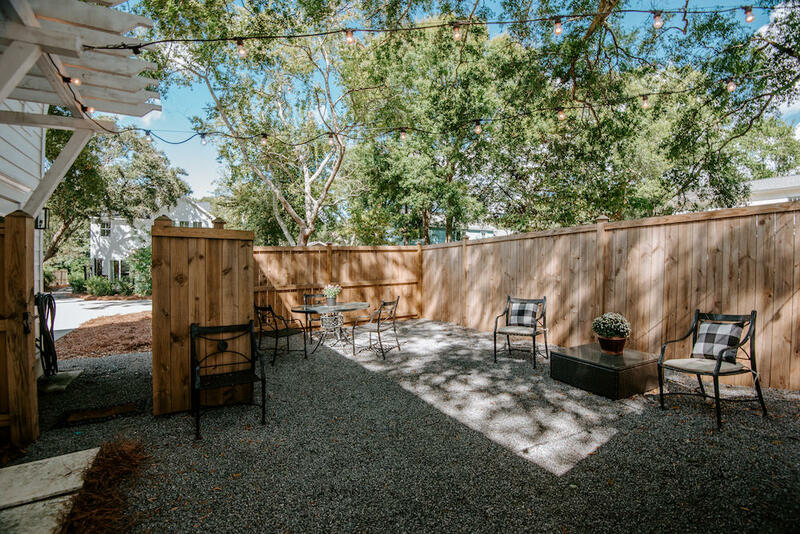 Outdoor space is low maintenance, with a large patio and still plenty of room for additional parking, dogs and/or children to play, and gardening. 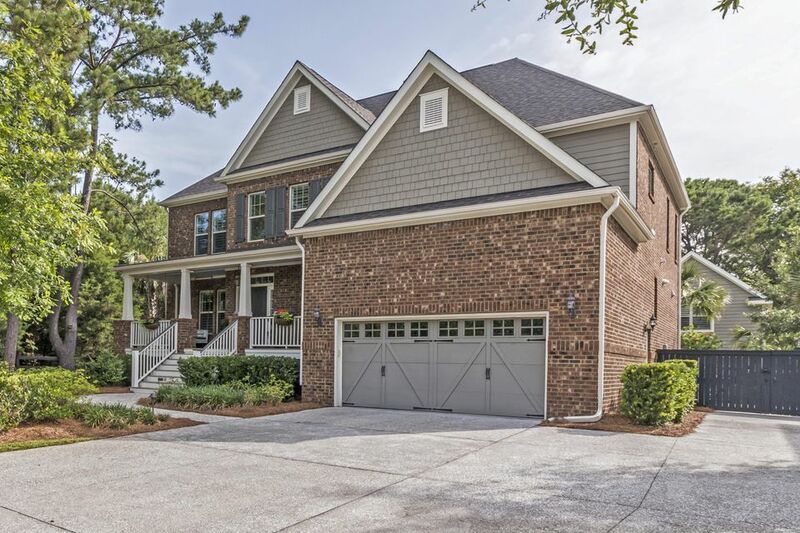 A detached double car garage allows for plenty of storage. 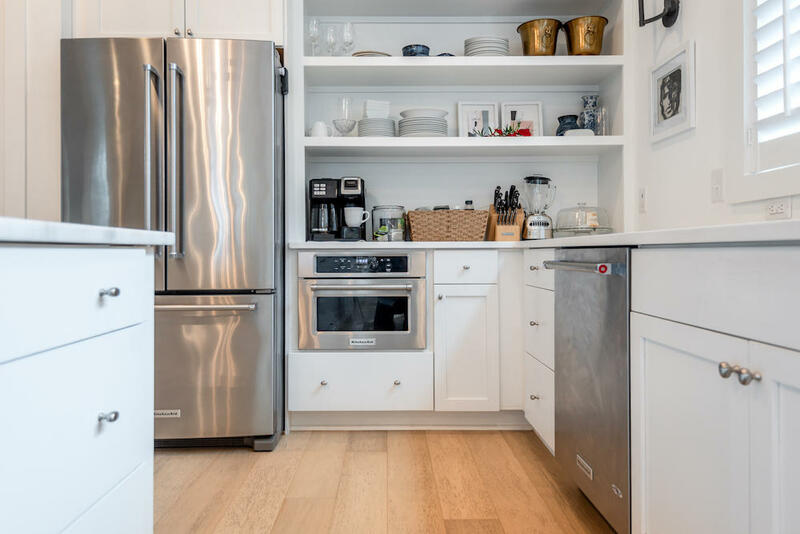 The fully loaded 650 sq. 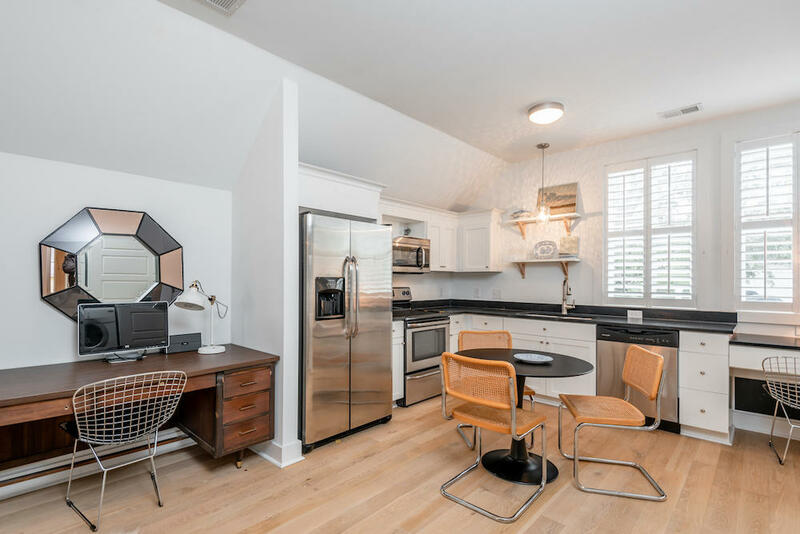 ft. ADU features 1 BR, 1 BA, kitchen, living room, dining area, and water/dryer. 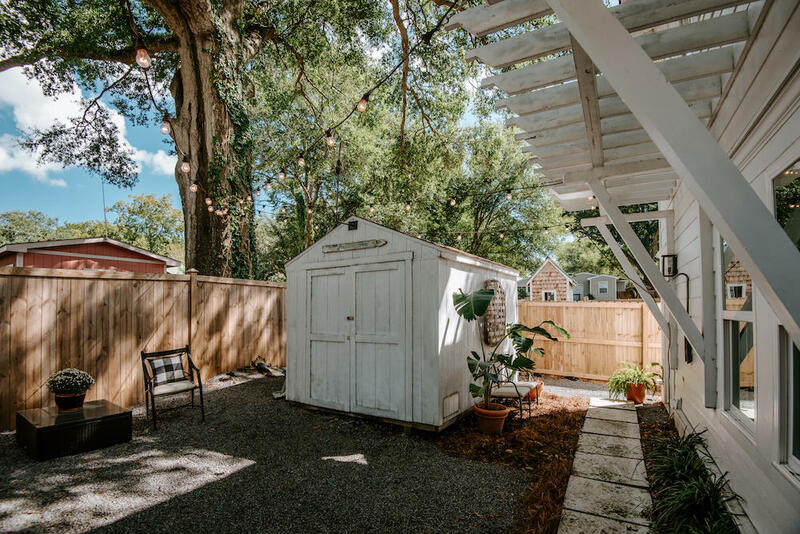 This ADU has its own private outdoor living space and would be ideal as an office, mother-in-law suite, guest quarters, or rental income property. 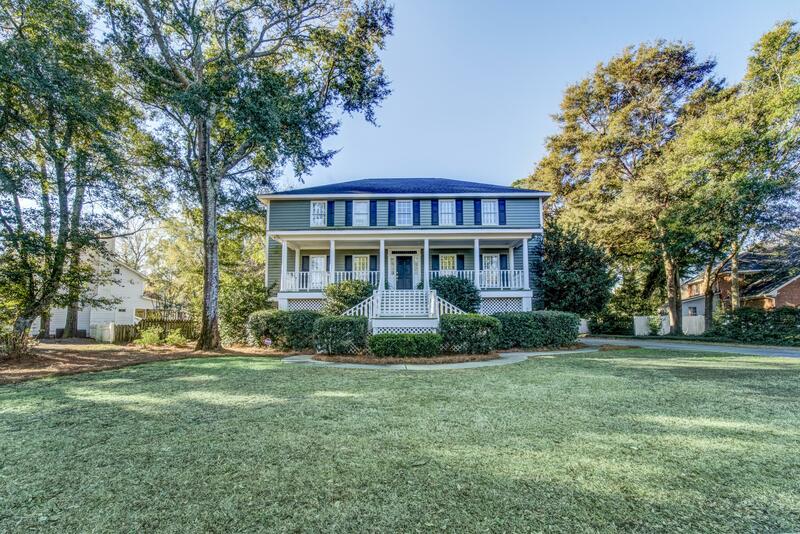 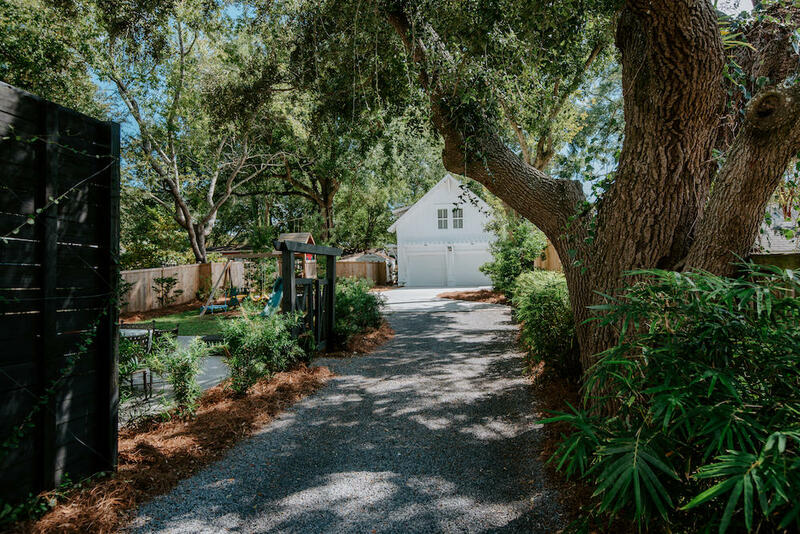 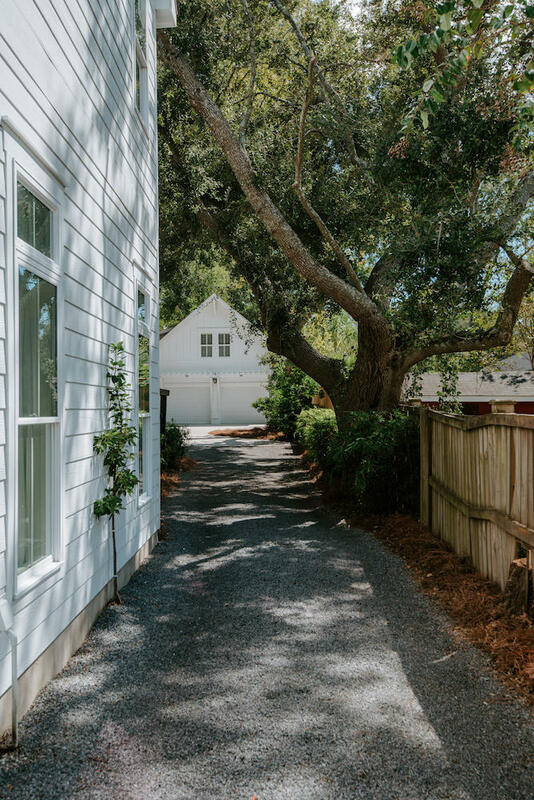 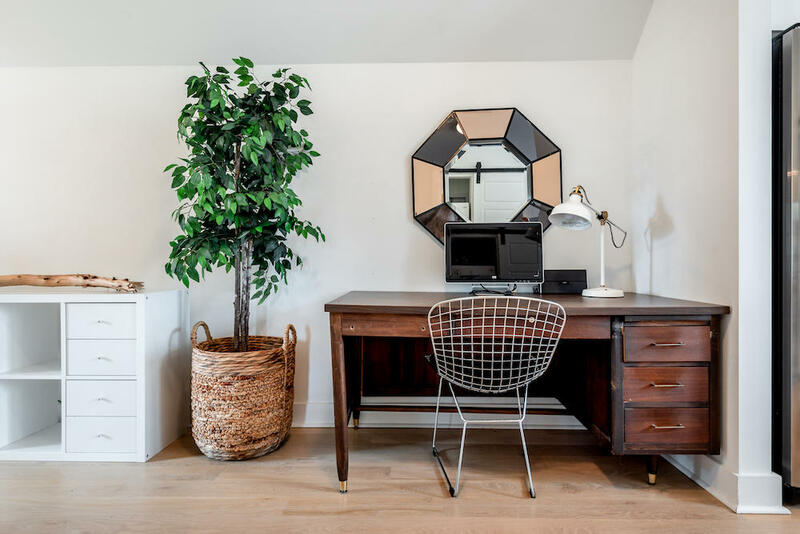 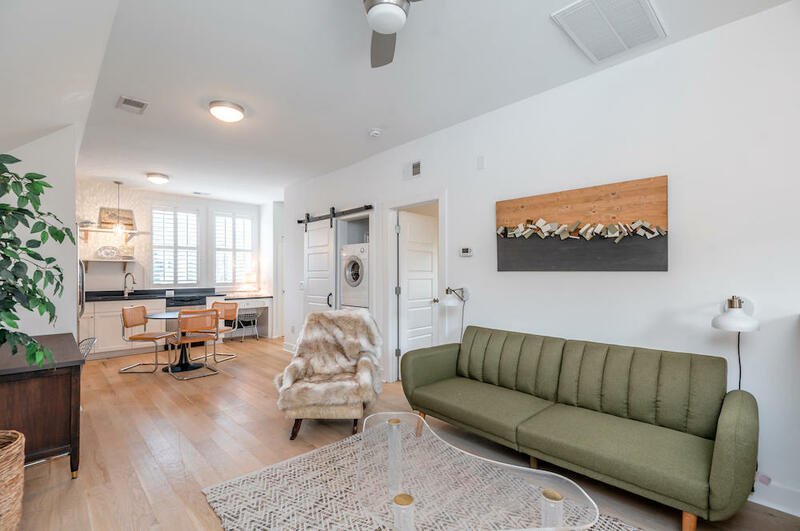 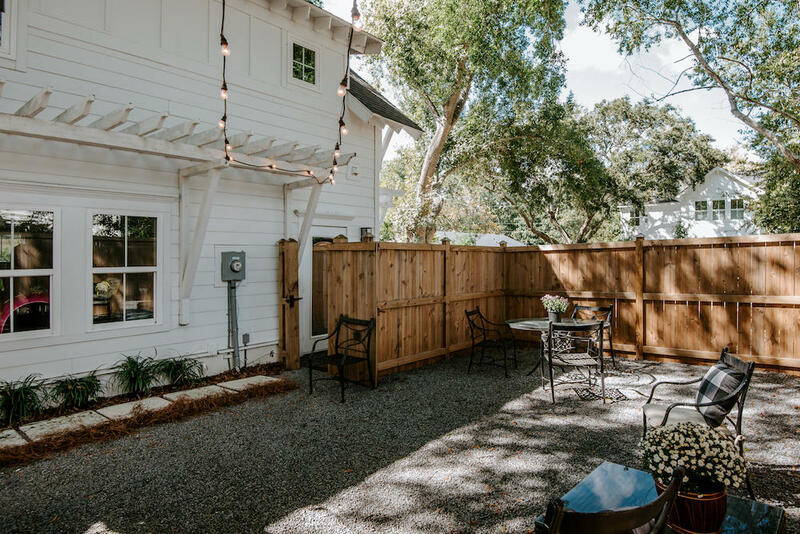 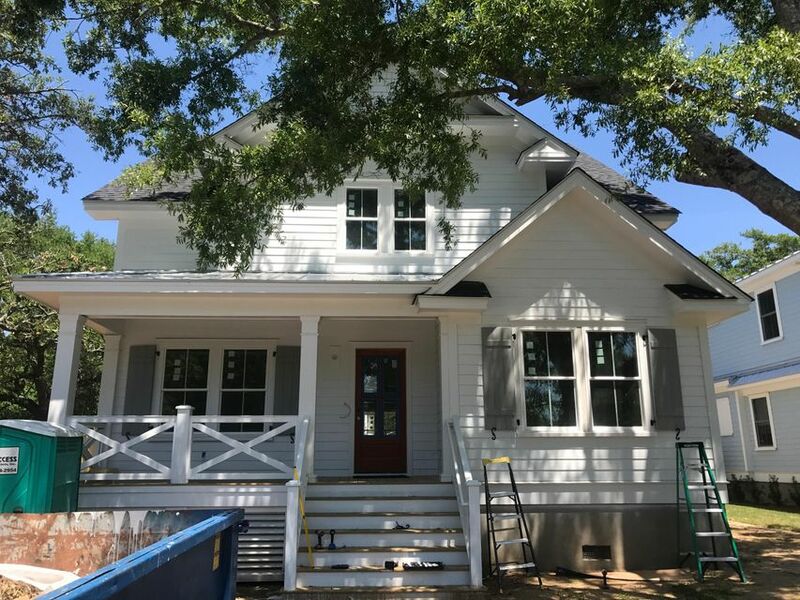 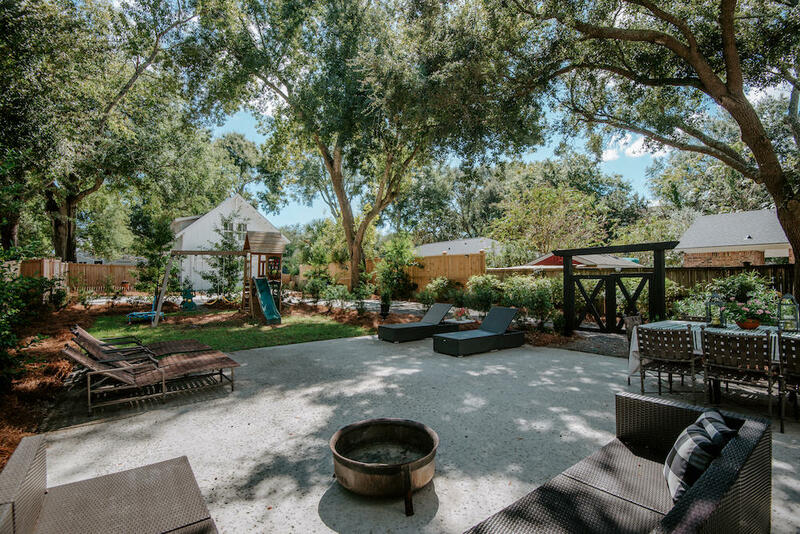 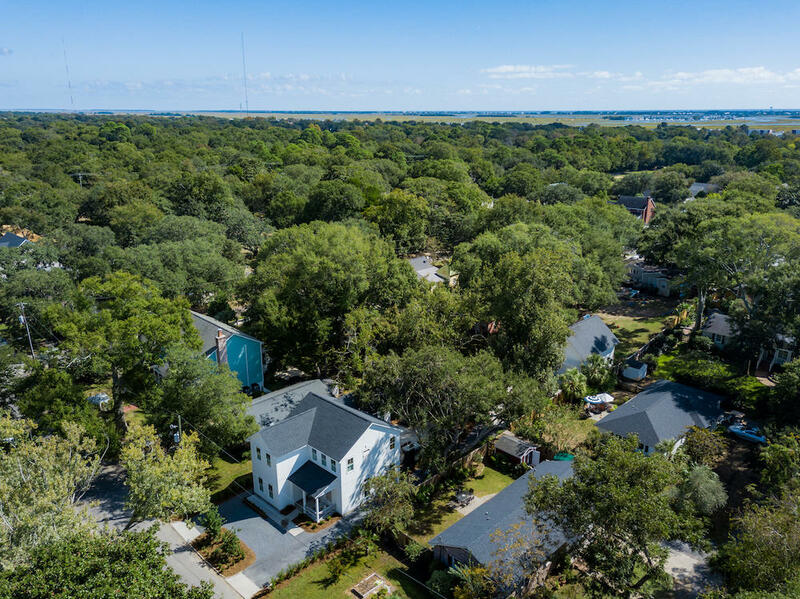 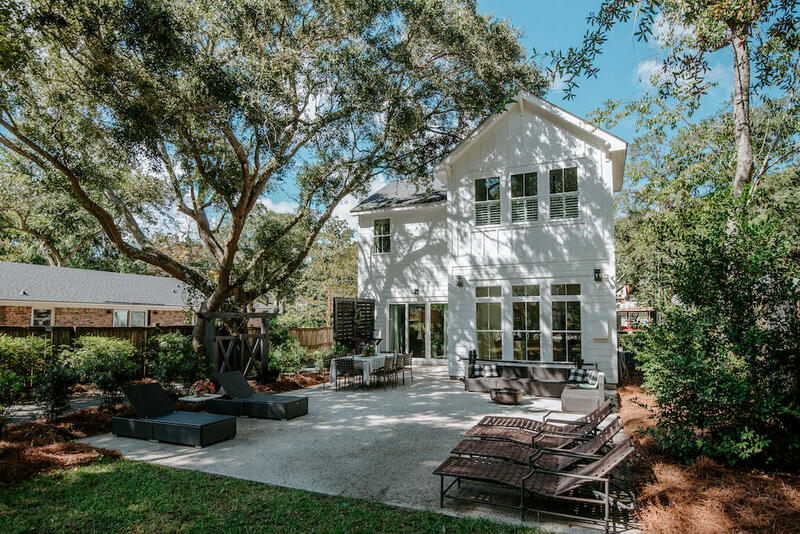 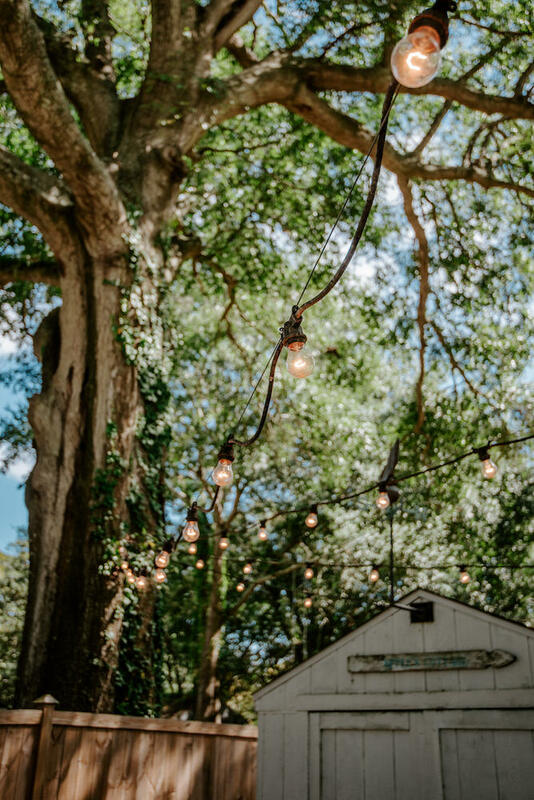 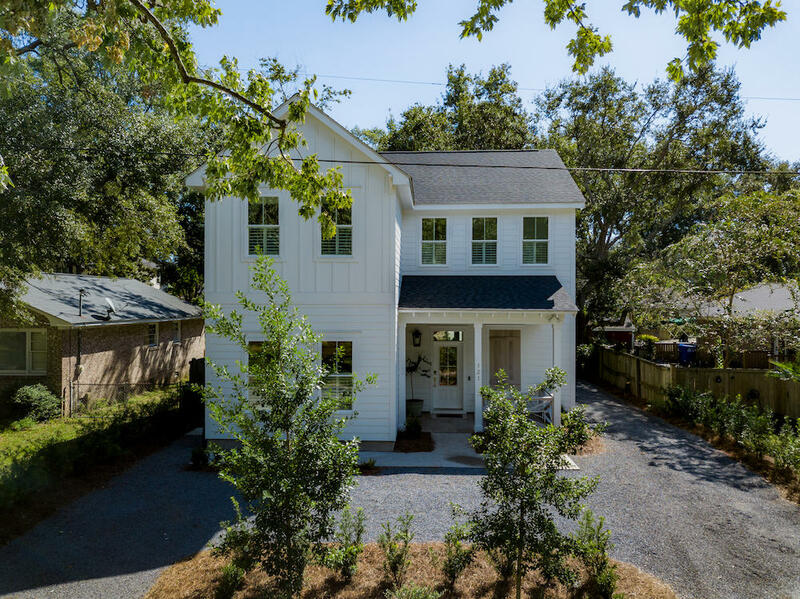 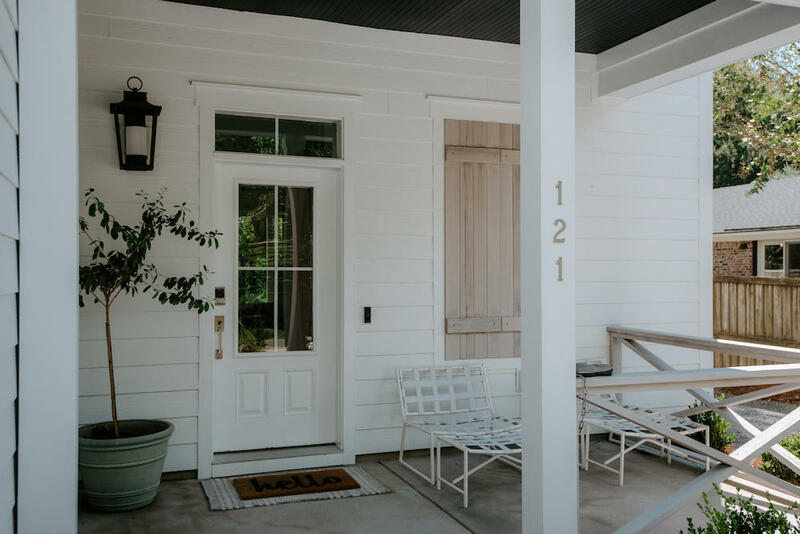 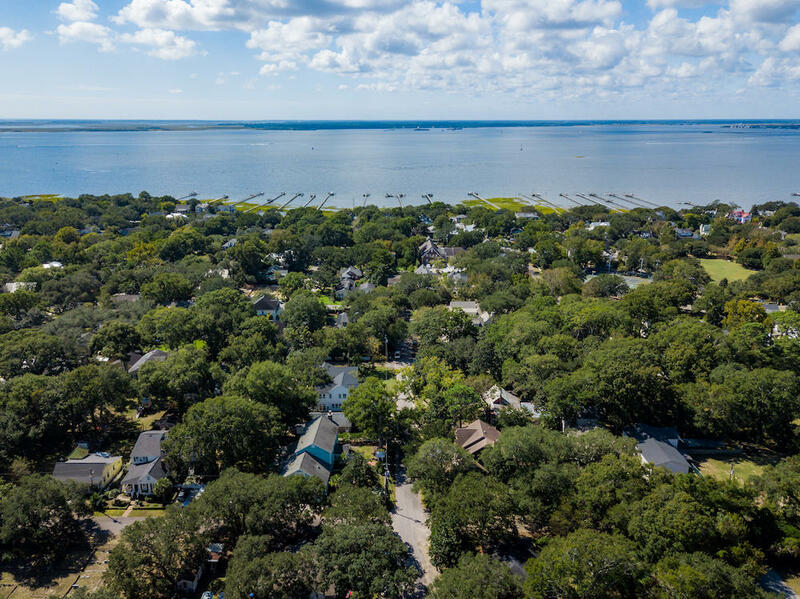 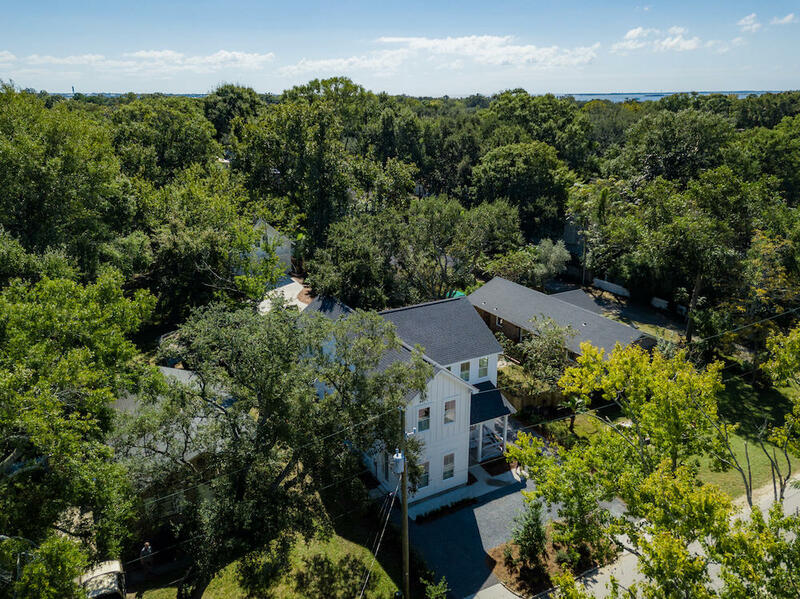 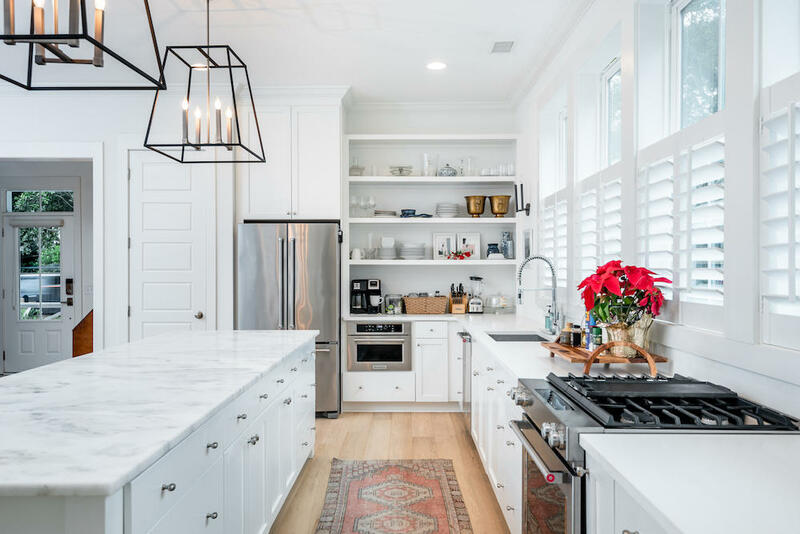 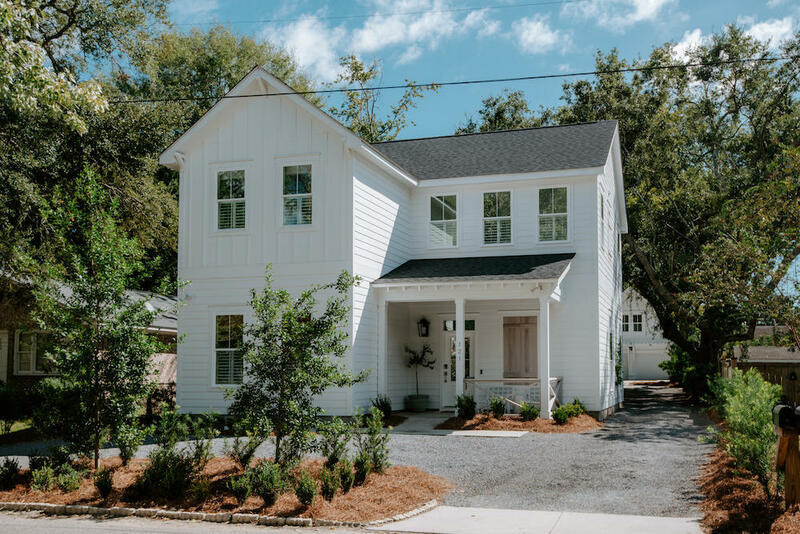 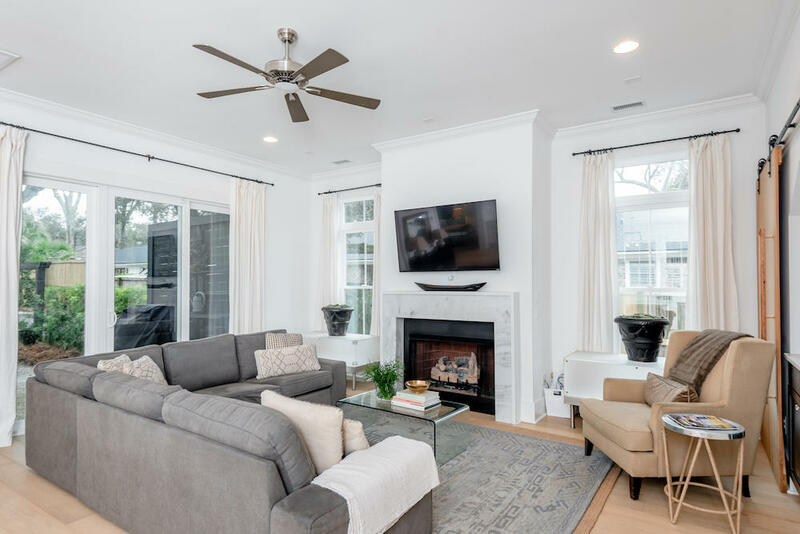 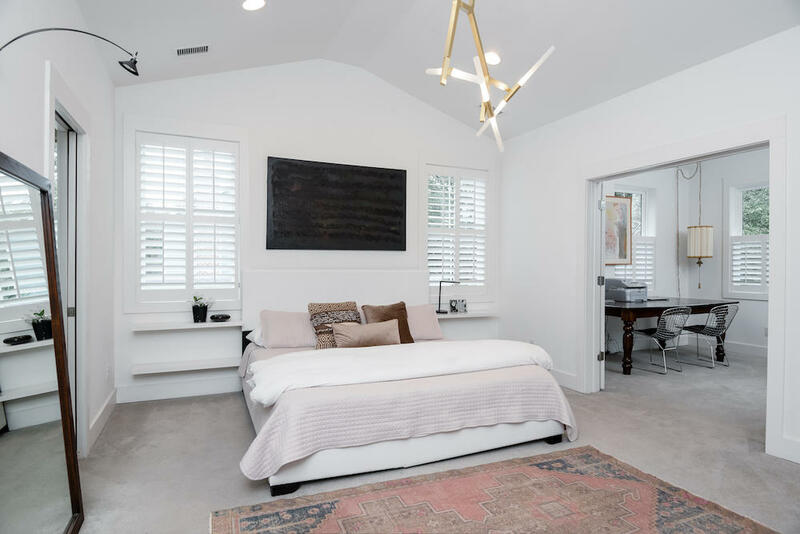 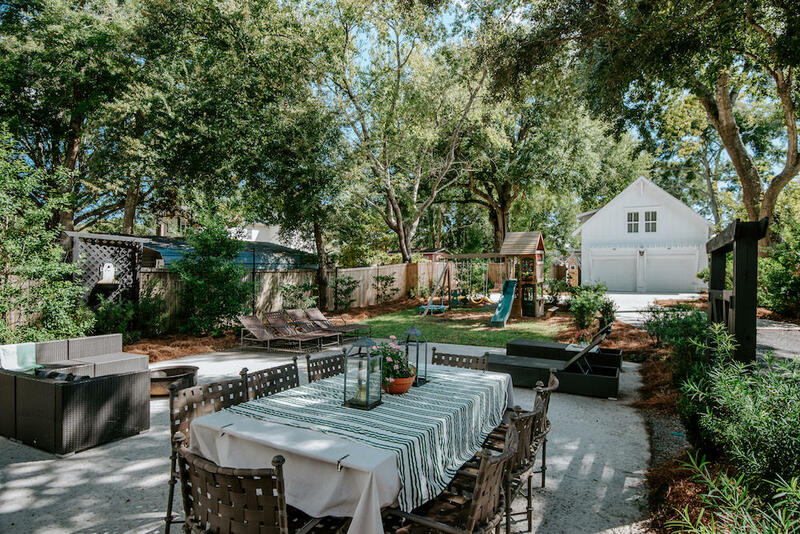 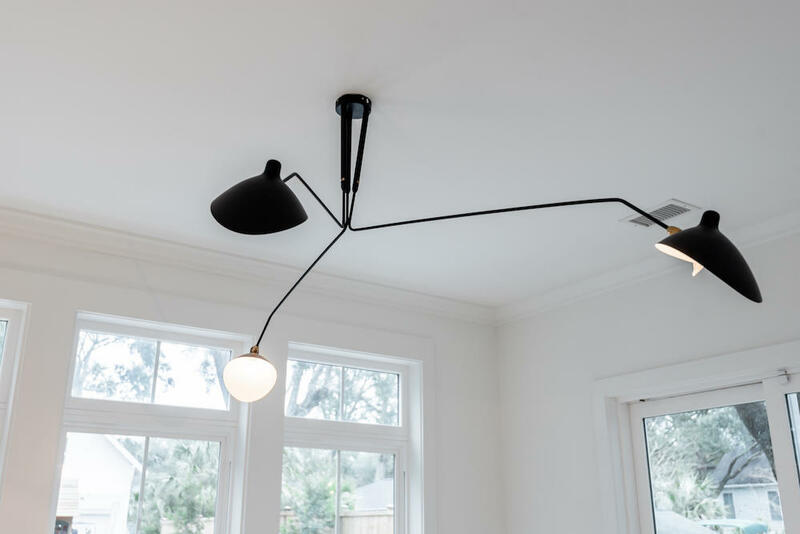 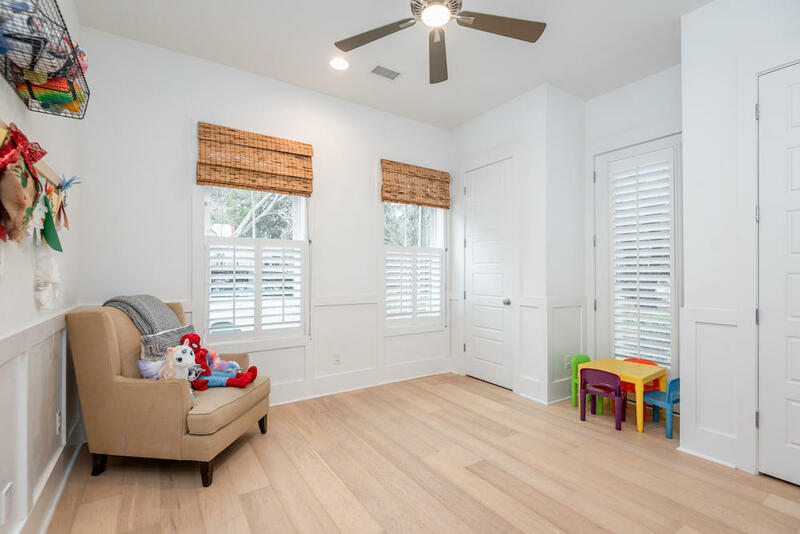 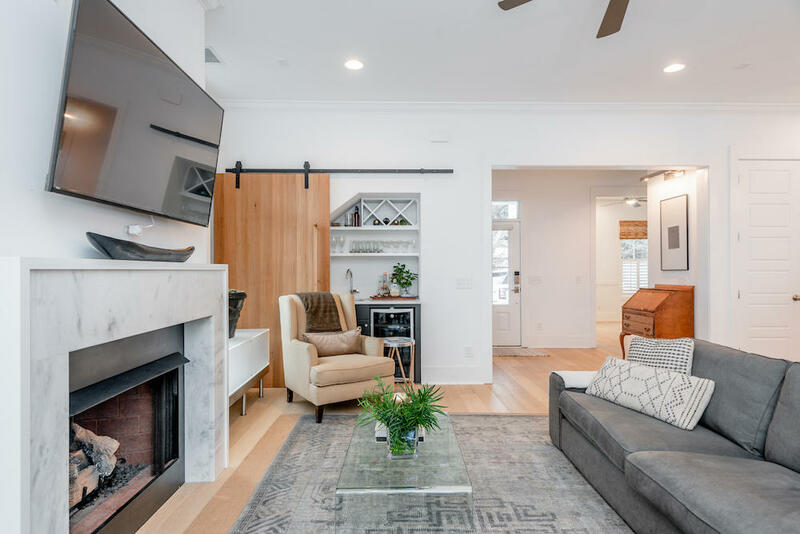 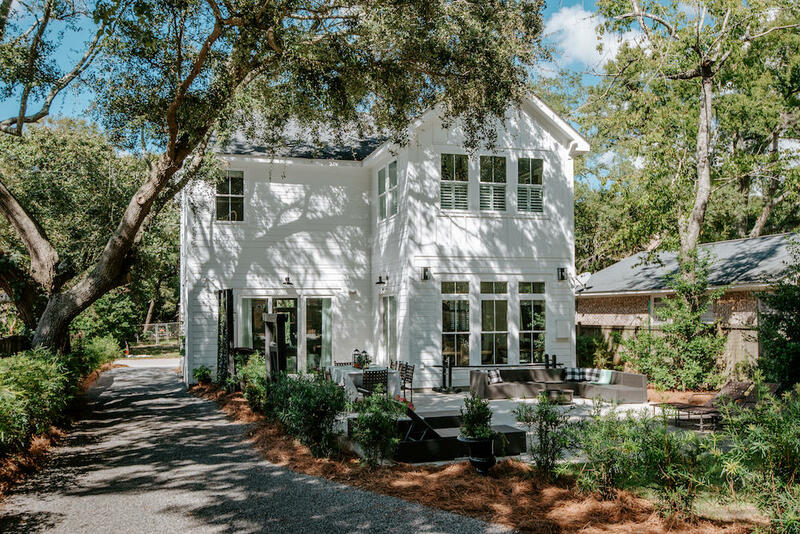 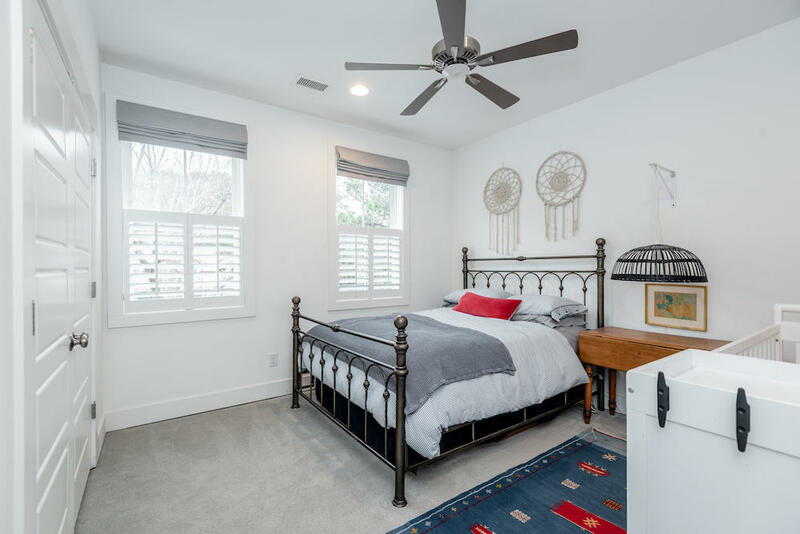 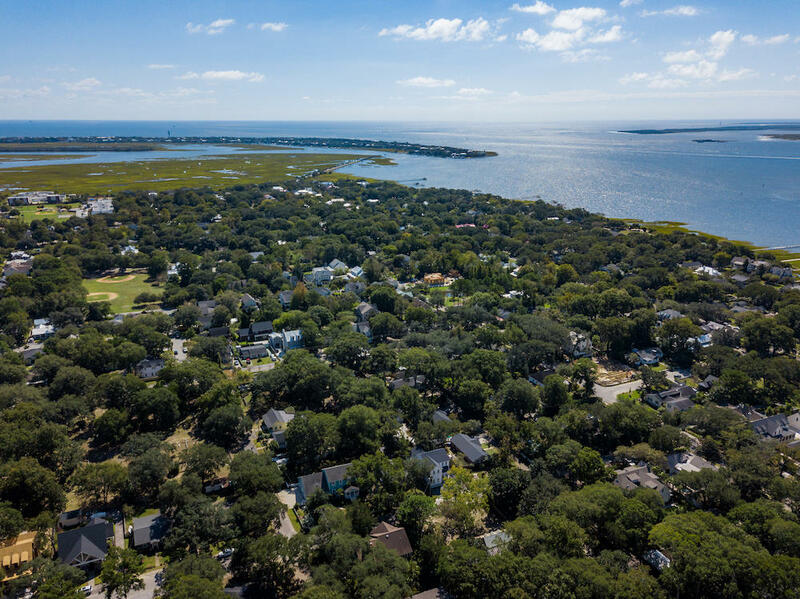 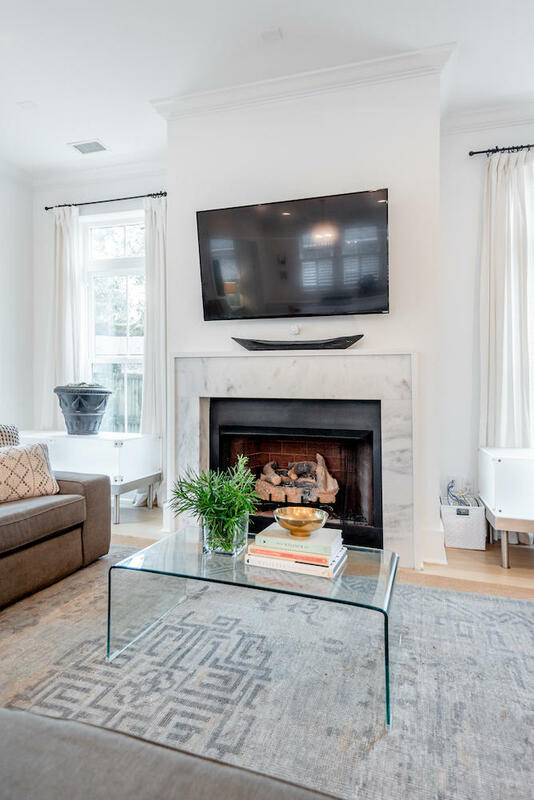 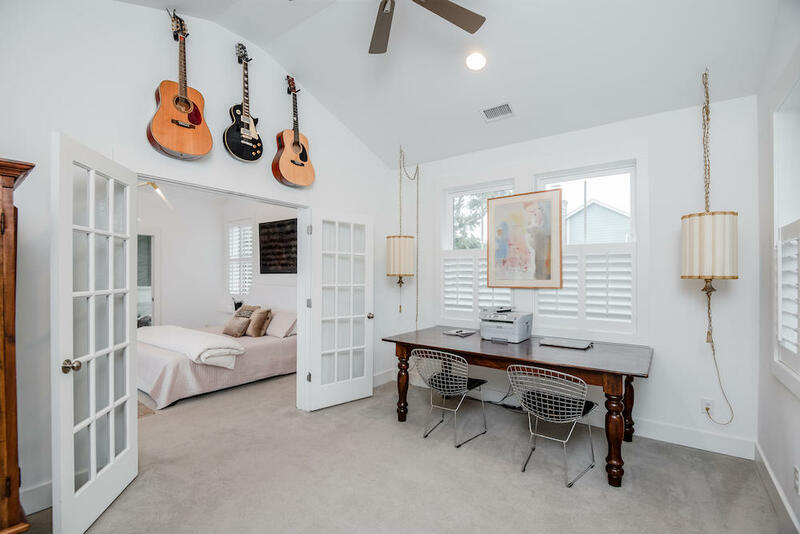 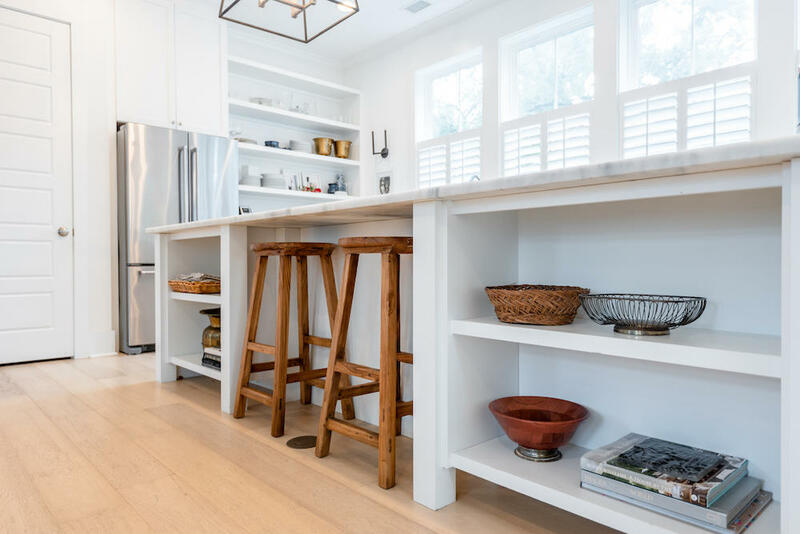 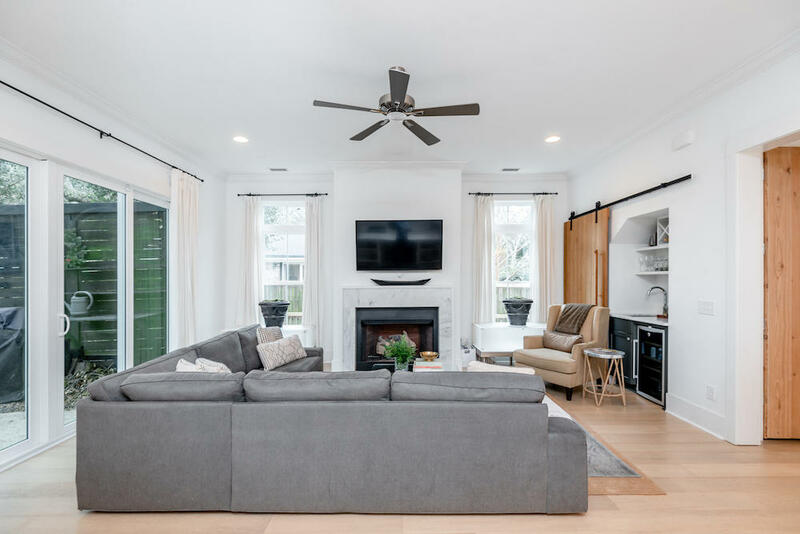 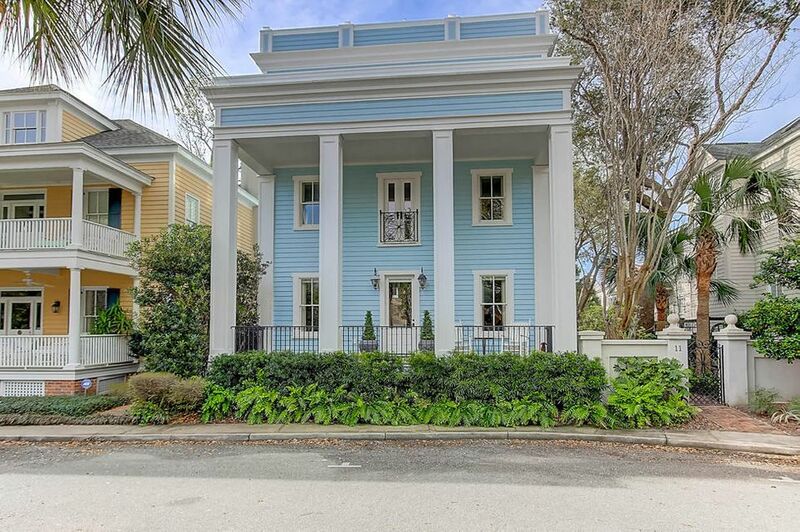 This highly sought after Old Village location is a short walking distance to Shem Creek, Pitt Street Bridge, tennis courts, and Alhambra Park, and only ten minutes to downtown Charleston and the beaches. 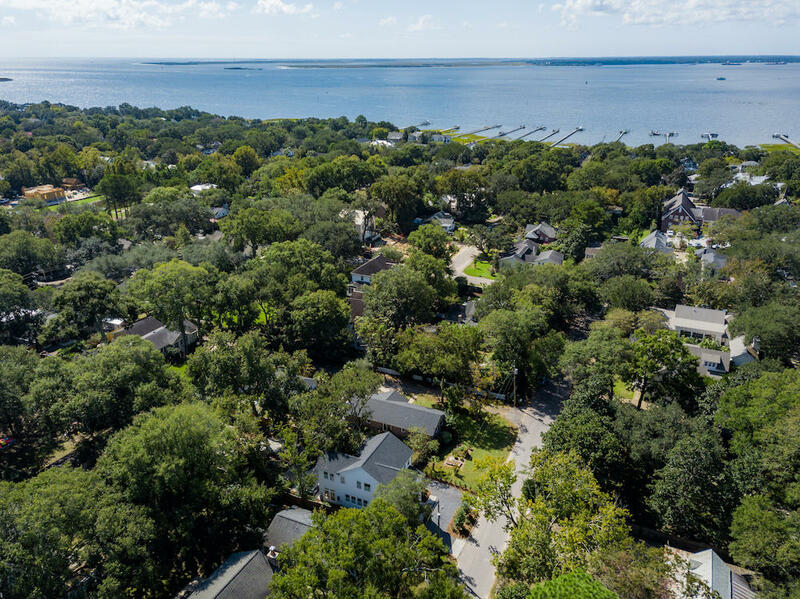 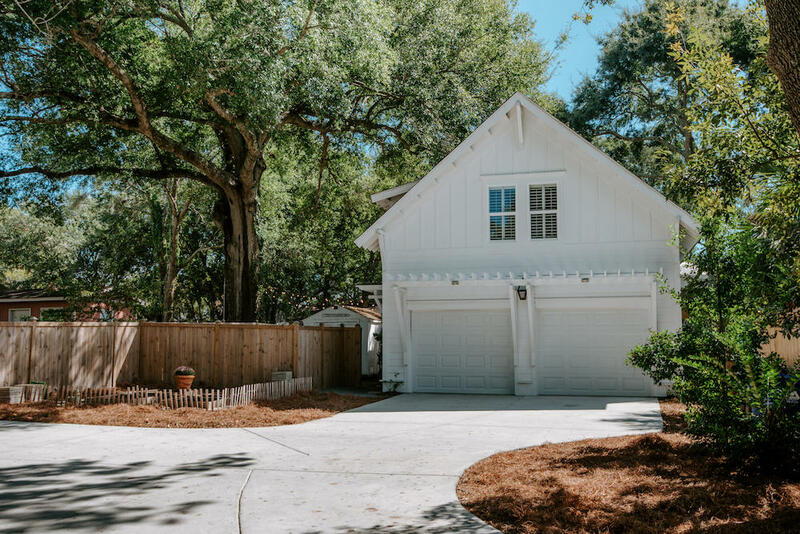 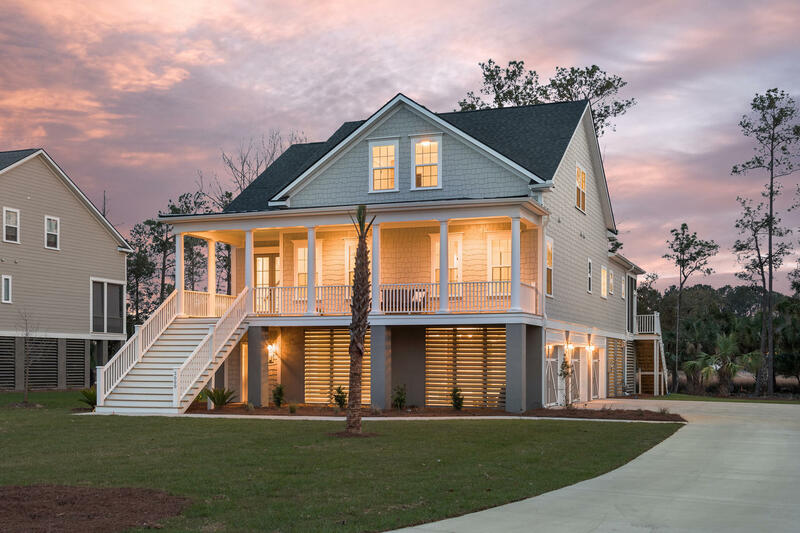 Enjoy Lowcountry living at its finest in this neighborhood where award winning schools are just a golf cart ride away. 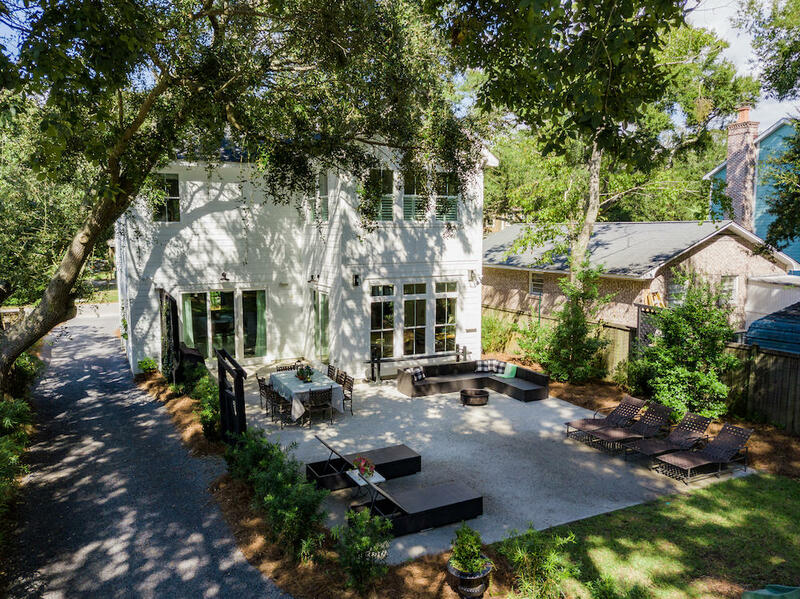 The design and clean lines of this meticulously maintained home is sure to impress and one you do not want to miss!